More than a year ago, Apple said that it will introduce a wireless charging case for its AirPods. Today, the company made good on that promise by releasing a Wireless Charging Case alongside the latest iteration of the company’s AirPods. Although consumers can still choose to buy the second generation AirPods with the standard case, it appears that the AirPods with the Wireless Charging Case are already proving to be more popular and selling out fast. When the AirPods 2 first went live on Apple’s website for pre-orders, the expected delivery time was for the end of this month. 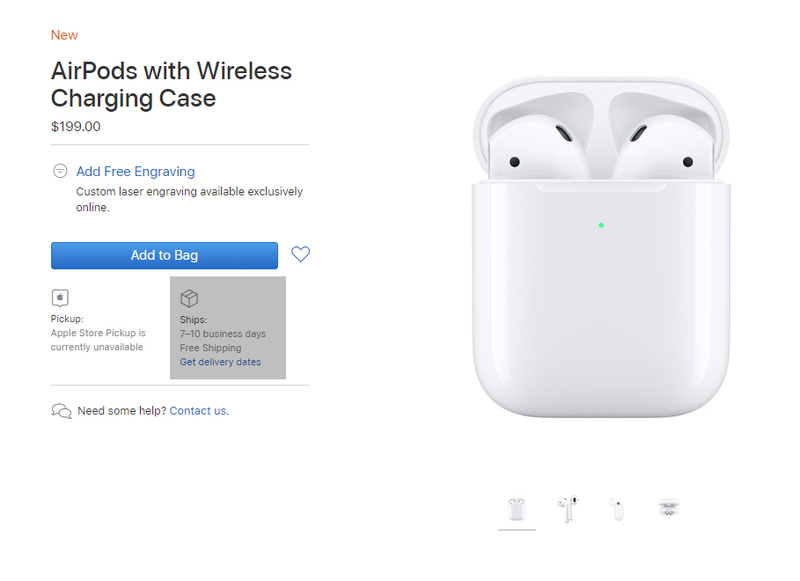 Within hours, these estimates went up and now the shipping time for the AirPods with Wireless Charging Case has gone up another week, which means they will be delivered between April 2 and April 5. On the other hand, customers ordering the second generation AirPods with the standard charging case can expect to have them delivered by March 29 and standalone wireless charging case ordered today will be delivered before March 28. 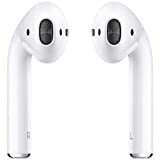 The second generation AirPods are a significant upgrade compared to their predecessor, with the improved features perhaps explaining why they are presumably selling out so quickly. The second-generation AirPods are powered by the H1 chip that offers 50 percent more talk time when compared to the original AirPods. They also come with hands-free ‘Hey Siri’ support. Design-wise, there aren’t many noticeable changes to speak of, but there were rumors suggesting that Apple will be introducing a redesign of its wireless earphones possibly next year. The AirPods 2 will be available in Apple Stores starting next week. They will cost $159 with the standard Lightning charging case and $199 with the Wireless Charging Case. 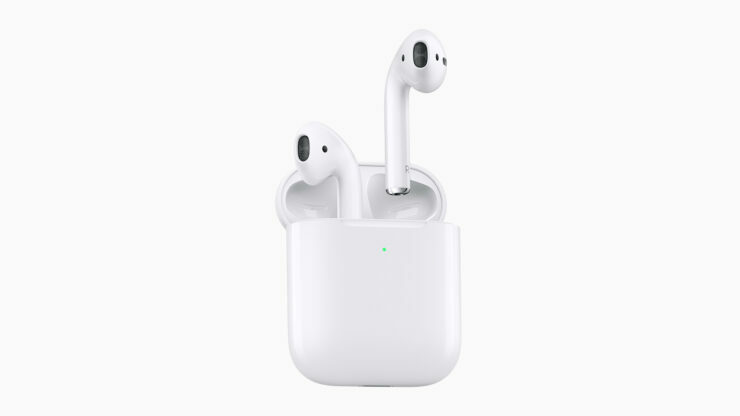 The latter can also be bought separately for $79 and it can also be used to charge the original AirPods, providing a greater degree of convenience for a small fee.